This has not been a normal season on Lake Ontario. We had the coldest winter on record. We had the most ice we’ve ever seen. We’ve had drastically changing winds. We’ve had unstable conditions. And, the water has been much cooler than it normally is all spring and summer. For some reason the numbers of salmon we’ve been accustomed to seeing aren’t here right now. Fortunately, that could change shortly and I’m starting to see signs of it changing already. Meanwhile, I think if we had better conditions we wouldn’t be having this conversation. 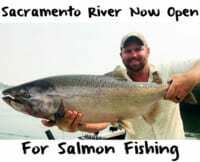 If we had stable conditions people would be catching normal numbers of salmon for this area. So, it’s not that salmon aren’t here, because they are, but we have to work harder and look deeper. The salmon are going to go where they are comfortable. If they aren’t comfortable 50-80 feet down they are going to go deeper. They have no problem going down 300 feet and we can’t reach them there. I think they’ve been deep many times through spring and summer. My gut feeling is that during August eventually the salmon are going to show up, as we are gradually seeing now. Mother Nature is going to force them closer to shore. They are going to be staging for their spawning run and sooner than later we are going to see more consistent numbers of fish. It’s crazy, though, because some days we are seeing huge numbers of salmon here in Upstate NY and then all the sudden they are gone and we have to look again for a few days. And, we’ve had days where they are stacked and we can’t get them to bite. Luckily, there are fish around. Overall king fishing has been poor here out of Oswego on Lake Ontario, at best, but every few days the winds calm down and if you keep your lines free of the fleas (an invasive species that’s plaguing us right now) and run Fire Brined cured herring you will be rewarded with some large, bright, hard fighting Chinooks. I’m running Natural, Chartreuse and Green Fire Brine colored herring. We’ve had a lot of sun and chartreuse is good in the sun. Keep in mind, I’m not running whole herring. I’m filleting herring, placing them in a Rhys Davis Cut Bait Head and dragging them in conjunction with Pro Troll E-Chip flashers, the eight and 11 inch models. Normally, I run 30-pound test, but for the first time ever I’ve had to run 40-pound Maxima Ultragreen because the diameter is large enough that the fleas can’t attach themselves to it. If you ran a small diameter line you’ll be covered with fleas. Behind my flasher I run 40-pound Maxima fluorocarbon. I’m still running spoons too. I always have one spoon in the water. Keep in mind, I’m on a charter and we are still catching lake trout and browns. I’ll run Michigan Stinger and Dreamweaver spoons, which give us a chance at catching several species. I like to keep one rod in 55 to 60 degree water, especially early in the am. Another rod is destined for 52 degrees, whereas the others I send down into deeper, cold water. It’s important to watch your speed. The currents are strong and it’s forcing us to watch our speed carefully. Fortunately, on a positive note, the salmon we are catching this year are large. It appears the hatchery and wild fish are averaging the same size as last year. The average fish are in the low 20s, but we are seeing some in the 30-pound range. Keep in mind, this is when they put on the feed bag. They’ll gain a lot of weight in the next month. 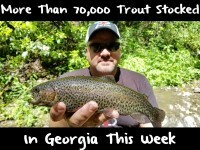 While it’s been a tough bite at times in June and July, we picking fish each trip now and it should only get better. Fishing has been up and down and we aren’t seeing the numbers we’d like to see, but if conditions improve weather-wise, the bite will follow suit. Editor’s Note: Troy Creasy operates High Adventure Sportfishing and is also the editor of Lake Ontario Outdoors. 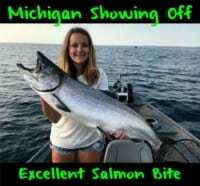 For more info on his Lake Ontario summer Chinook salmon, brown trout and lake trout combo trips please visit http://www.highadventurefishing.com/.